Behind the Scenes of Gluten-Free Dairy-Free Review Central: Food Labels Declassified Part 2: Paleo, GMO, Vegan... Oh My! In part one of this series, I discussed the various gluten-free labeling certifications, trying to make sense of what they mean and the methodology behind them. In this post, I am delving in to other food labels to watch out for and what they mean (and don't mean). It's a confusing world out there for label readers, so I hope to make it just a little bit easier to understand what packages and boxes mean. The Paleo certification is given by the Paleo Foundation. Products bearing this label must be 100% grain-free, legume-free, dairy-free, artificial coloring-free and preservative-free. No exceptions. Because of the paleo diet's restrictive nature, click here to see a full listing of allowed and banned ingredients for the certified Paleo label. Suppliers and manufacturers are reviewed for compliance. 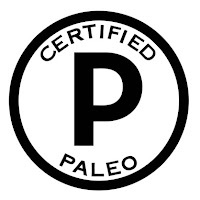 Other certifications offered by the Paleo Foundation are Paleo Friendly, Paleo Approved, and PaleoVegan, for more detail, read on. Non GMO has quickly become a buzzword in the natural products industry. But what does it really mean? 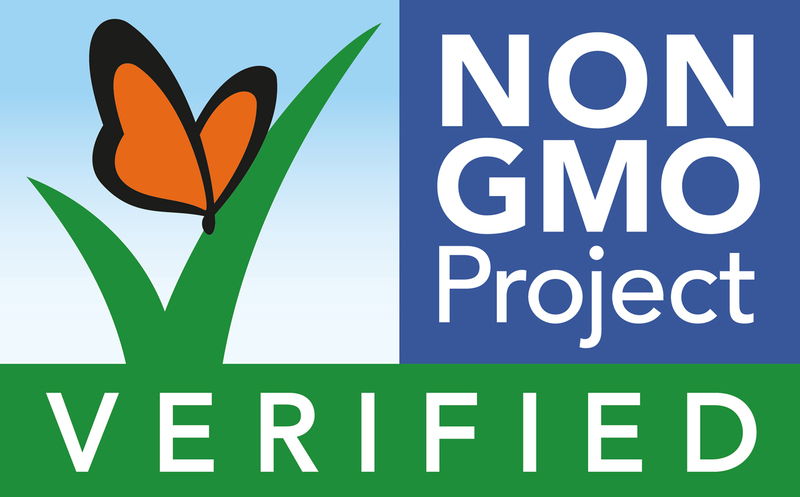 This label (at right) is given by the Non GMO Project, an independent certification organization for recognizing genetically modified ingredients. The threshold for Non GMO labeling is that a product must contain less than 0.9% GMO ingredients. Ongoing monitoring by the Project ensures compliance, and this is the only GMO label out there that has weight. Just seeing "no GMO" on a label without this seal doesn't mean anything. For more information, click here. 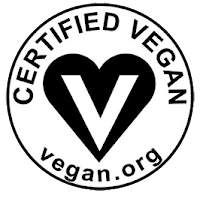 This certification is administered by the Vegan Awareness Foundation (Vegan Action). Products bearing this label must not contain animal products or byproducts, animal testing, manufacturing practices that include animal products, and no animal GMOs or genes. Where shared equipment is used, the Foundation works to ensure cross contamination prevention protocols are in place to reduce risk of tainting of products. Because shared equipment is accepted, the Foundation does encourage food allergy consumers to read product labeling to ensure a product is in compliance with dietary restrictions. Learn more on Vegan Action's website. Unlike the gluten-related certifications, the three featured above are less black and white because they are more relating to lifestyle than the presence of certain ingredients. While I buy products bearing these labels, I am less bound to them, sometimes opting for products not bearing these labels. It all boils down to what your dietary restrictions specifically are. A label is never an excuse to not read labels carefully, they just serve as guiding signs to help products jump off the shelf and appeal to conscious consumers.